In an effort to thin the lead pile a little I sent some 6mm figures off to a painting service. I already had some 15mm ACW being painted at Miniature Lanka and had been happy with their service but for the 6mm, I thought I would give DJD Miniatures a try. The price was good so I made an inquiry to Richard there, got a formal quote and sent two 6mm armies off to him. The figures were Baccus 6mm and were Romans and Numidians (see the last post here). I did not send any painting instructions (too lazy to spend the time researching for this) – just sent the figures. I must admit that I was really looking forward to see how these turned out and how near or far from my own painting style they would be. Near my style and forces would look consistent on the table. I was quite pleased with the result. The two photos here are taken with a Macro lens and so get you much closer to the figures than your own eyes can. Ooh.. those look nice.. now what have I got that can face them.. EIR? on 60 x 30 mm bases ? They are built for SPQR so I have 20 bases of EIR and 20 of Numidians. I have a Pontic to do later. And I’ve decided, they’ll go on the 60x 30mm bases. DBA will be 40xwhatever. 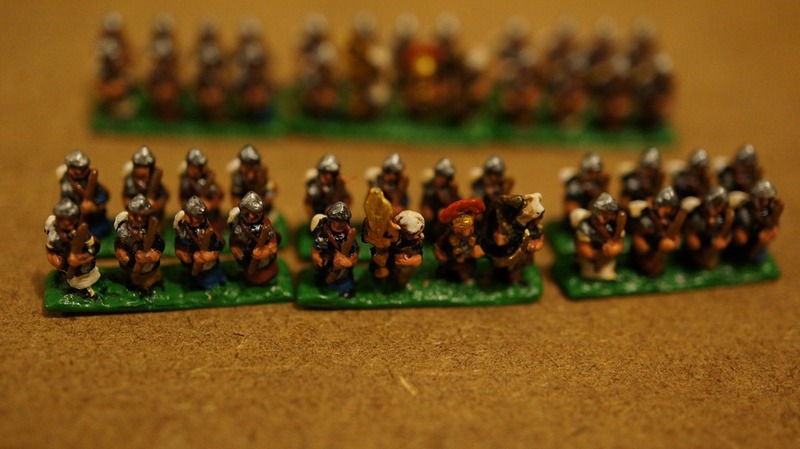 I have two Warmaster 6mm armies to decide on the future of – either SPQR or DBA them. DBMM will be 15mm (as will also some DBA, specifically not the 6mm DBA). What 19th Century ? 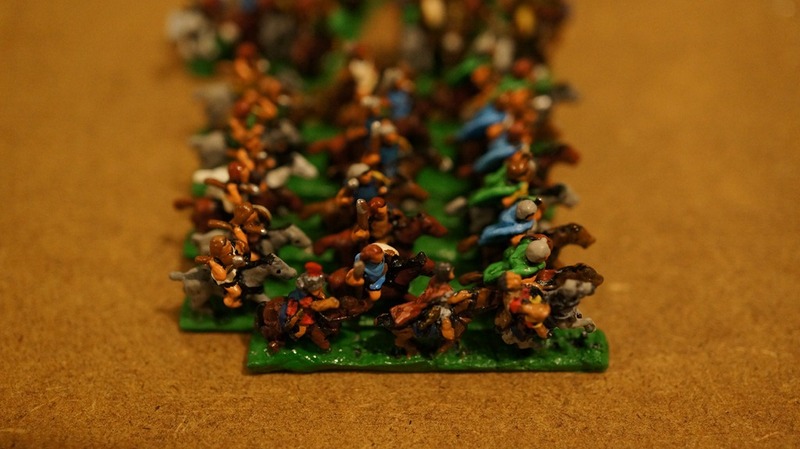 I have Baccus 6mm for the FPW (Prussians and Republican French) The 60mm bases would also work for Principles of War. I’m actually looking seriously at Bruce Weigle’s rules – 1859, 1866 and 1874. 1859 is sort of appealing already but some more reading first I think. Not familiar with those.. will look them up. I’ve used them twice. First time was wonderful. Second time, this year was a disaster! Sloppy work. Two figures came back irreparably damaged. And by that I mean they were wrecked before they were shipped back. One had a rifle snapped off, glued back on upside-down, and then painted! When asked for an explanation for the shoddy work, was told to take my business elsewhere. I assure you, I will. I recommend you do the same.